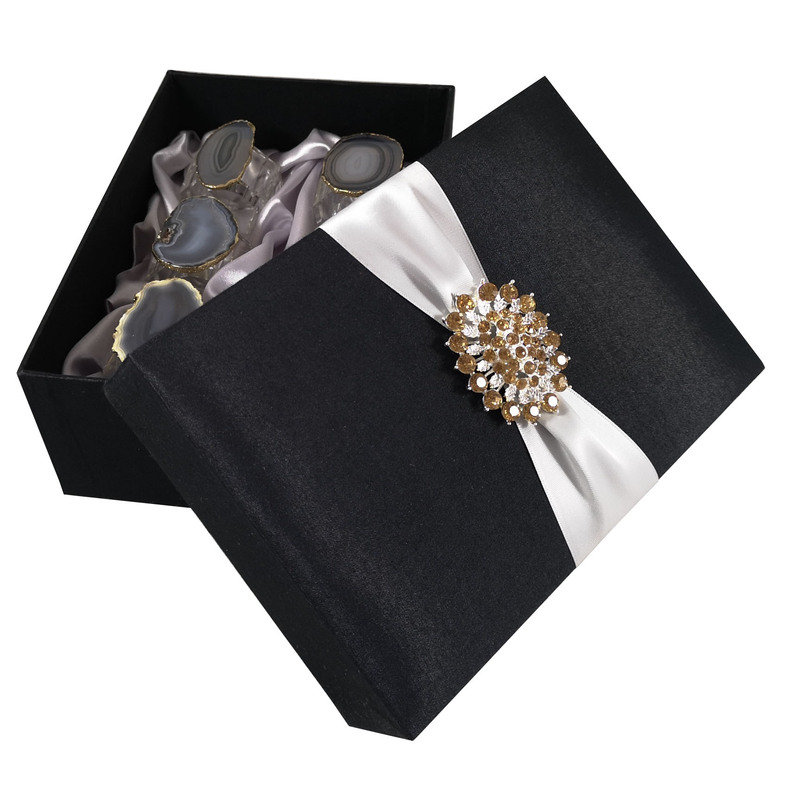 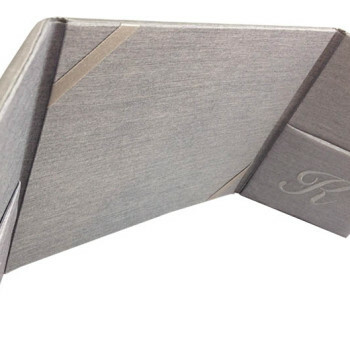 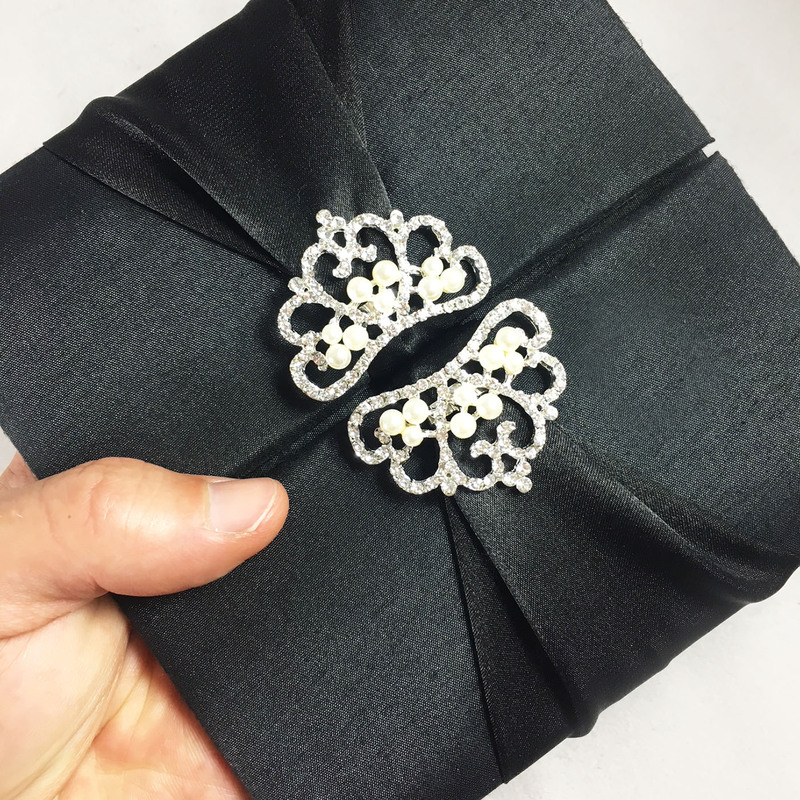 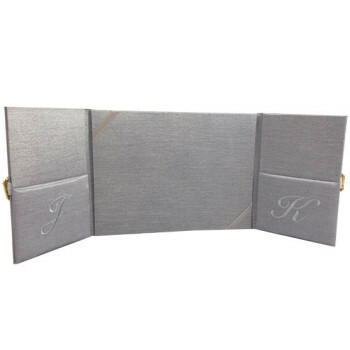 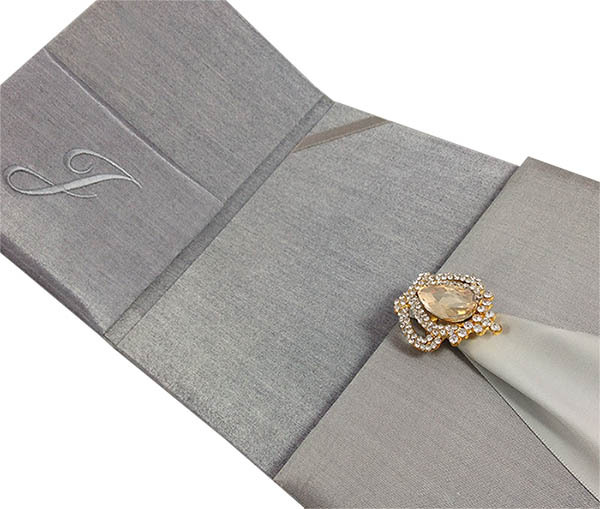 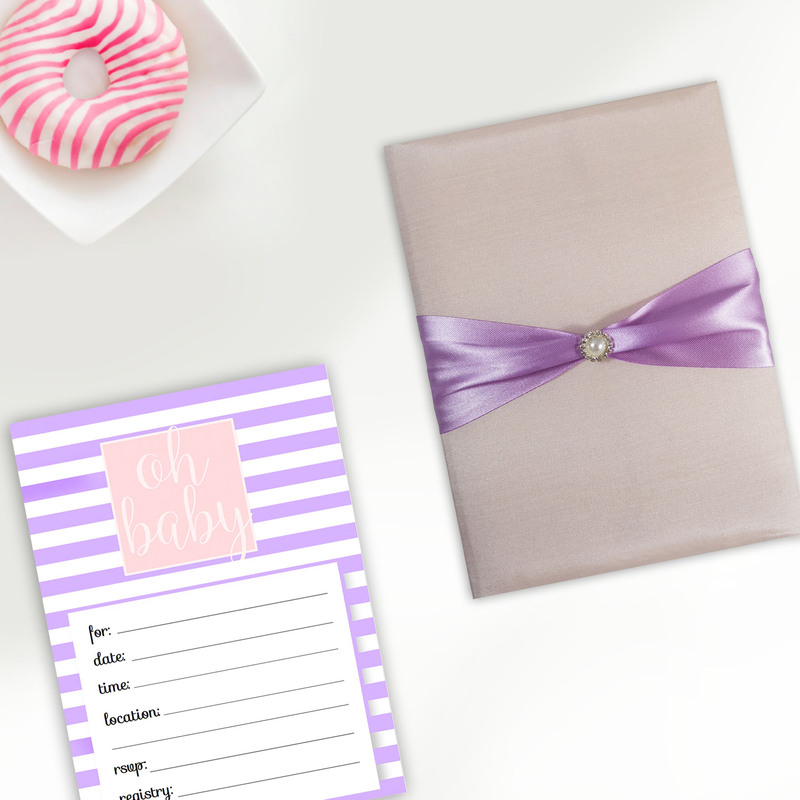 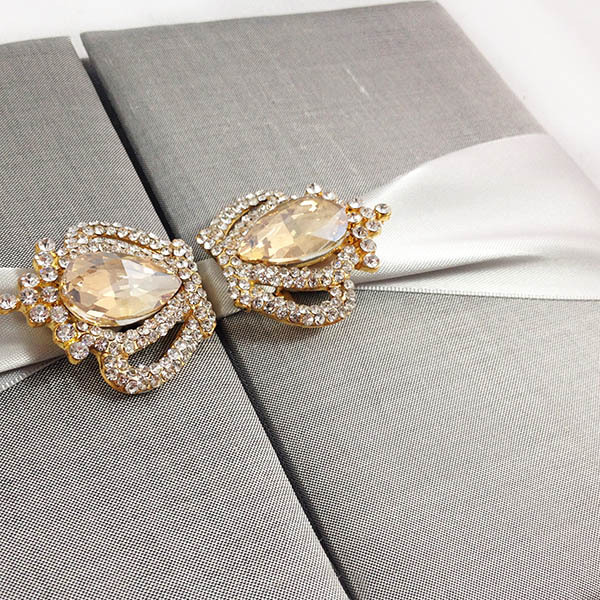 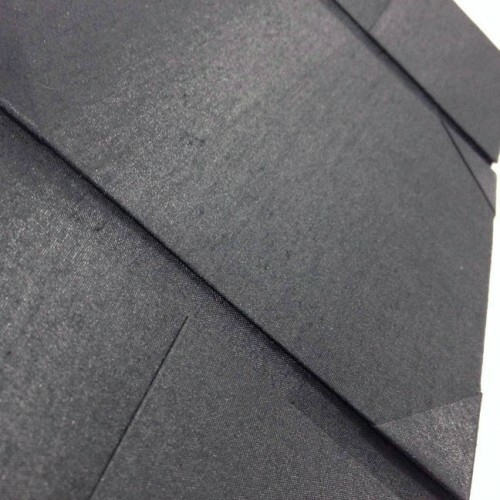 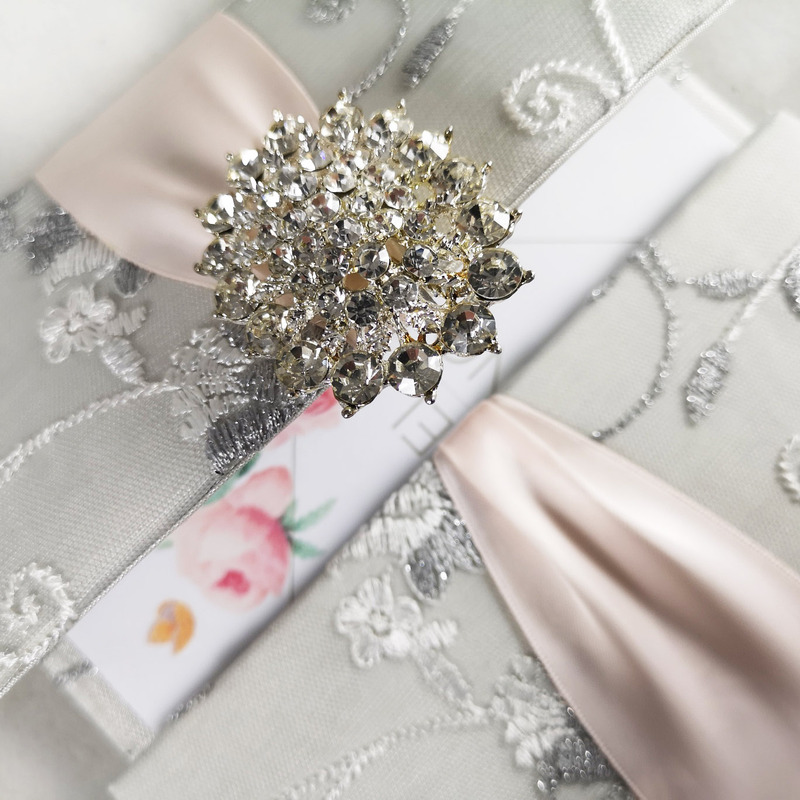 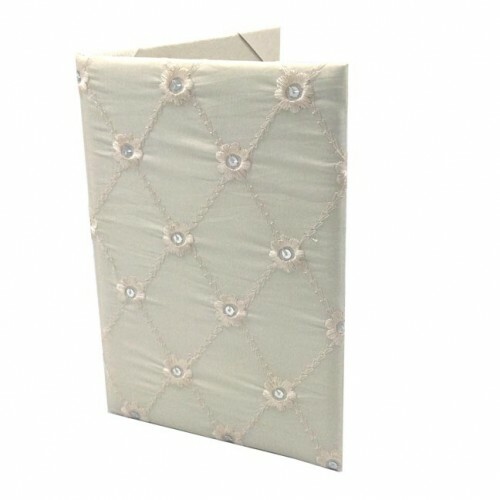 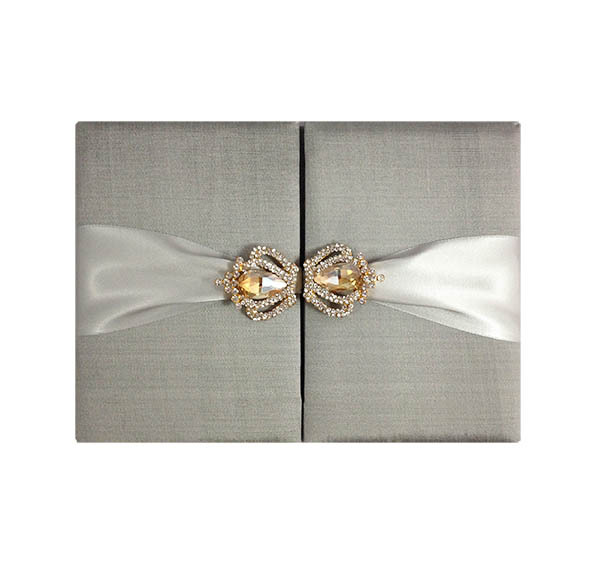 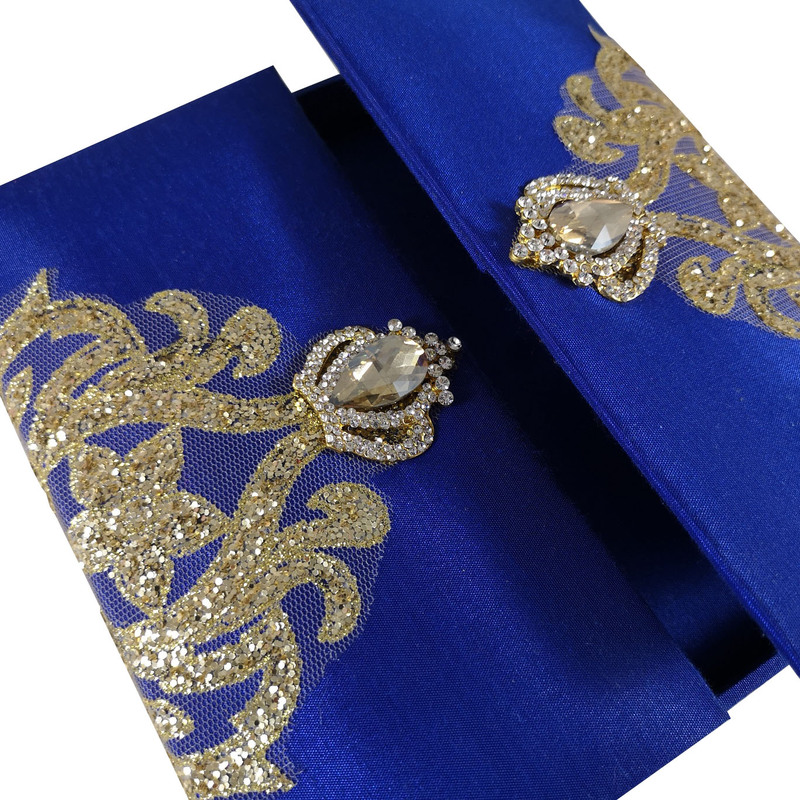 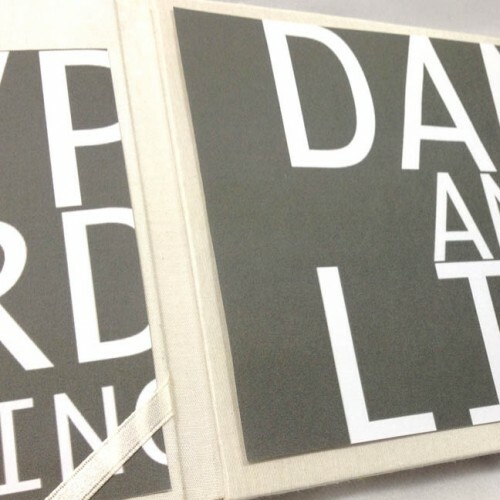 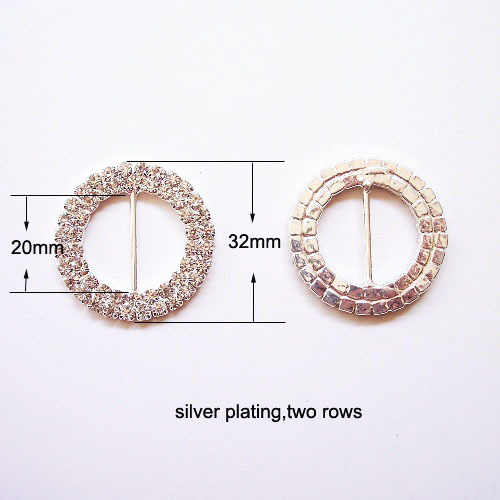 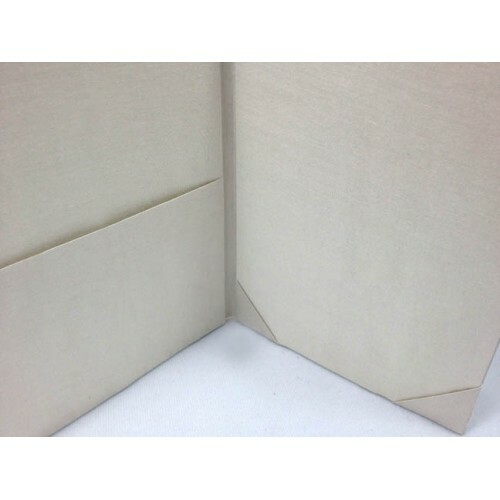 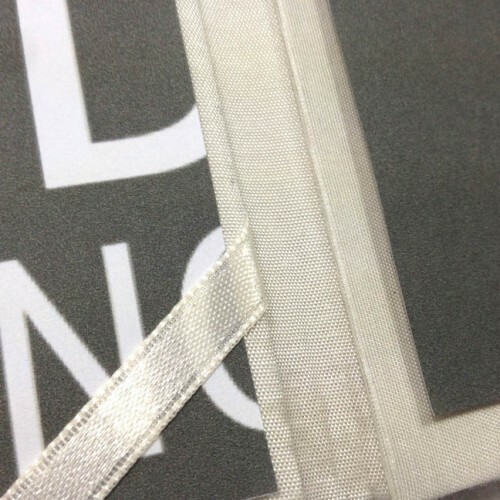 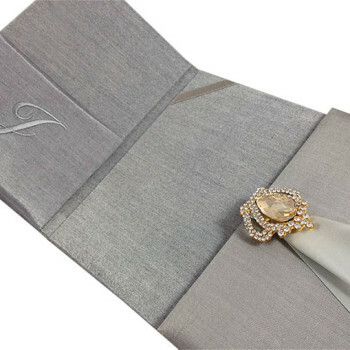 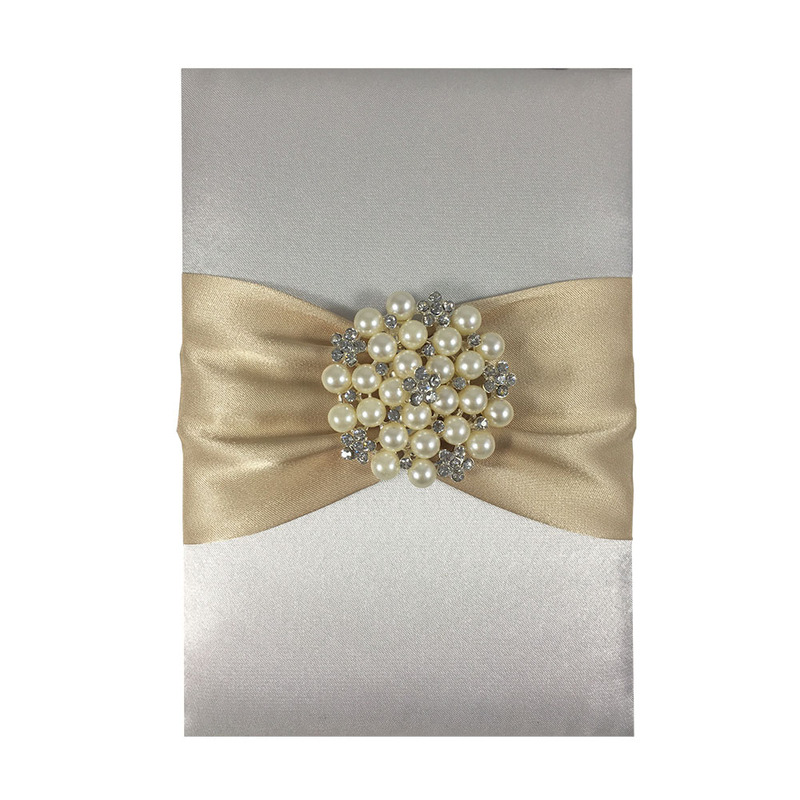 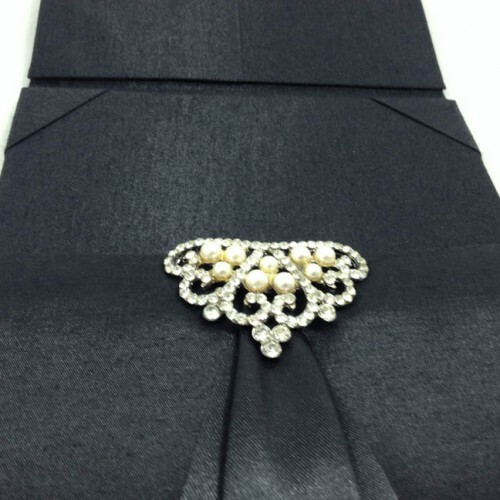 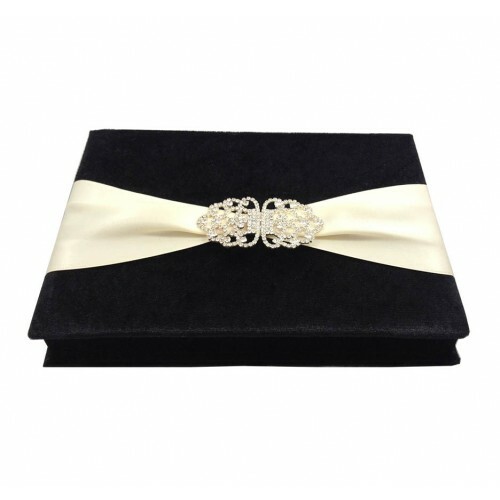 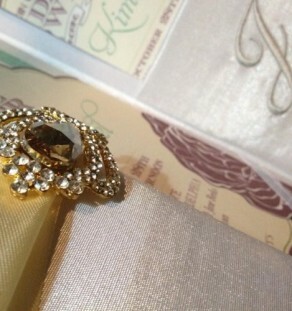 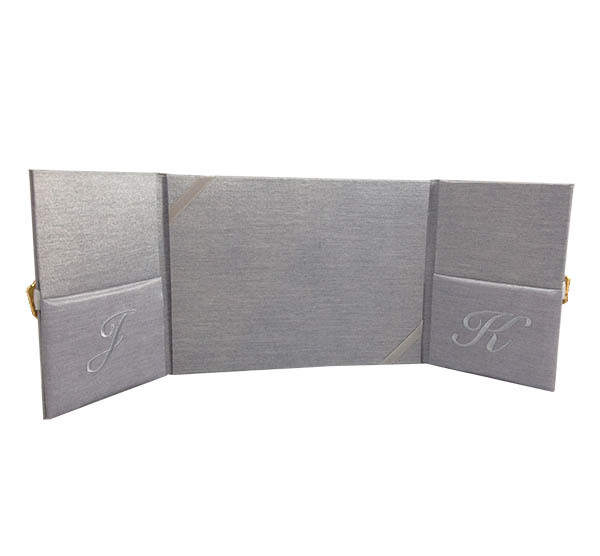 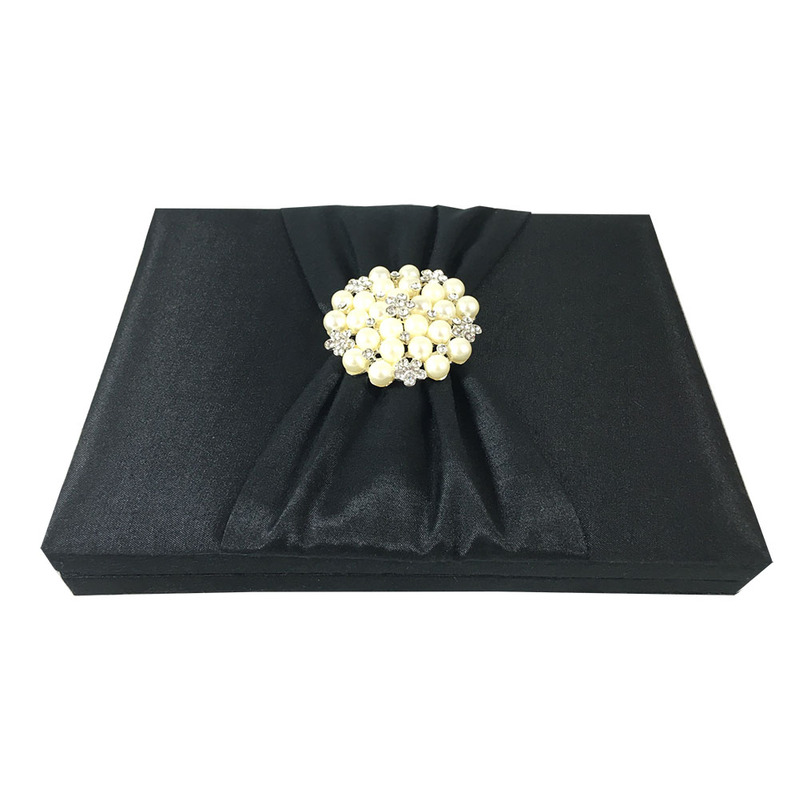 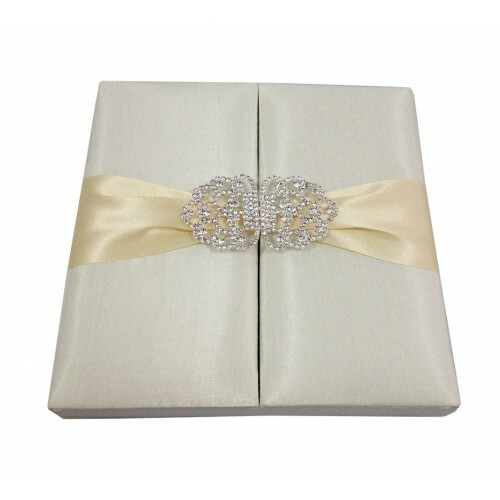 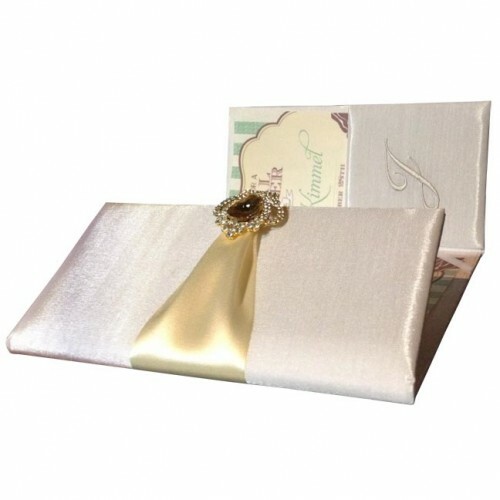 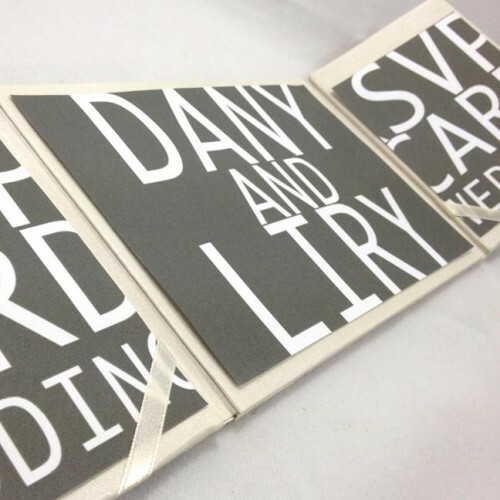 Stylish silver silk pocket folder presenting your invitation cards with a touch of elegance. 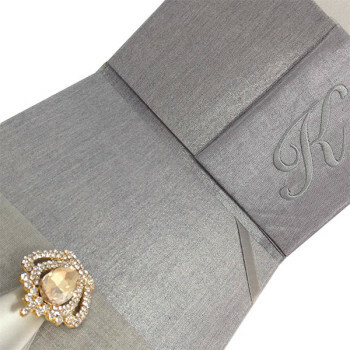 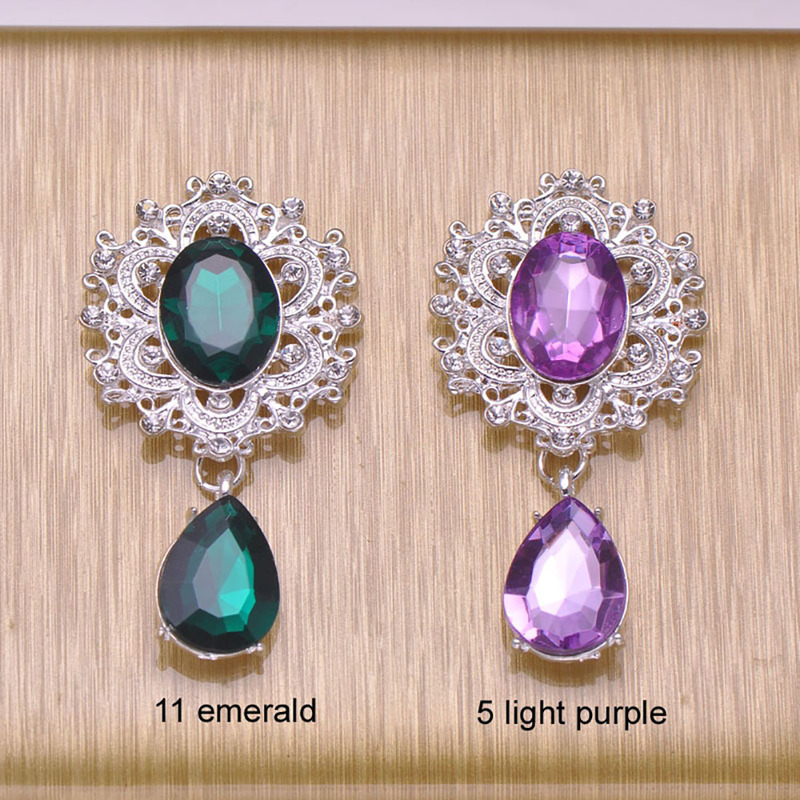 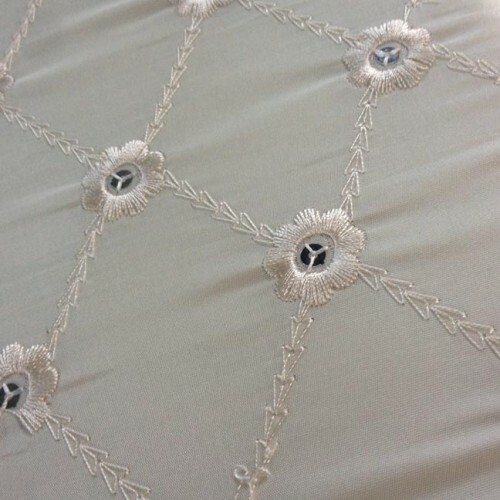 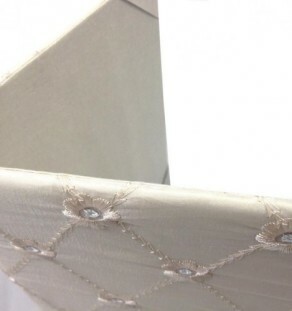 Featured are padded pockets with monogram embroidery, an embellished exterior with double faced high quality satin ribbon and amazing rhinestone crown brooches with the long your guest deserve. 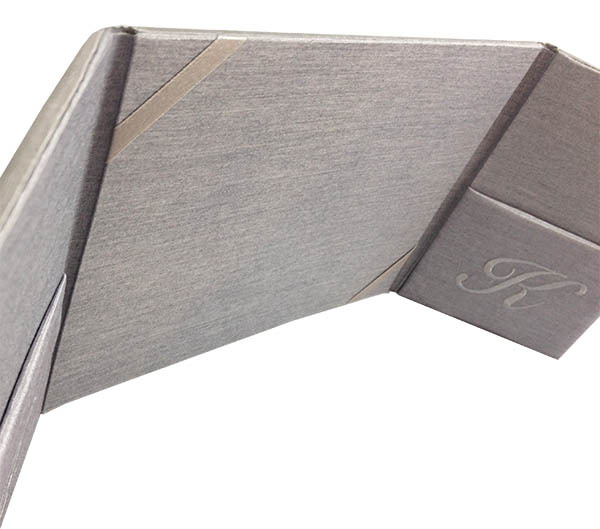 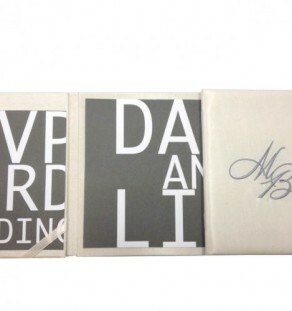 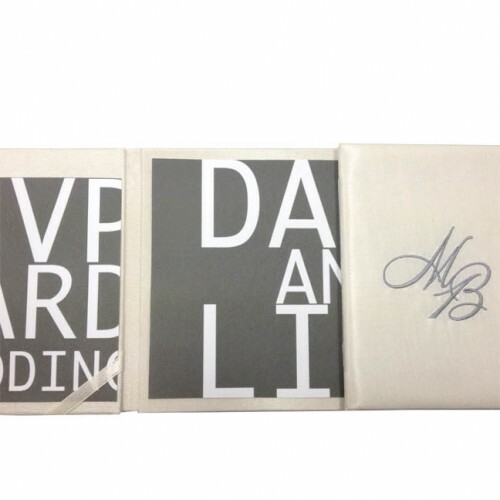 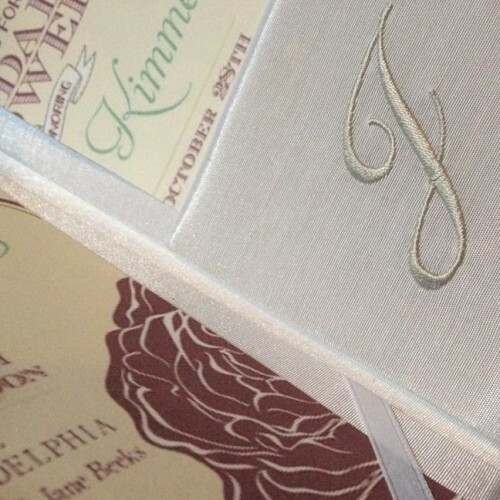 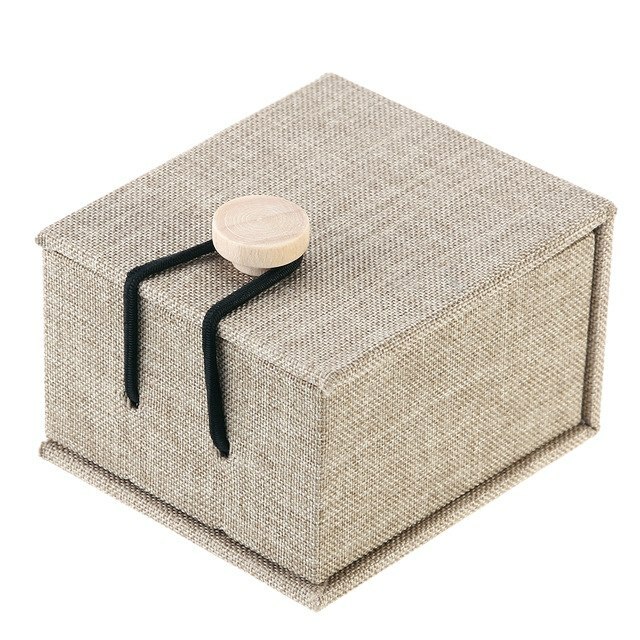 give your guest the best, impress them with a pocket folder from Dennis Wisser.